Seems i still can get msn or windows messenger to stay stable at LH4074.. anyone that can suggest one that is stable and works ? Admin edit: Changed subject, "..." doesn't tell anyone anything. Well duh, isn't it obvious? Its because you are using an alpha version of Windows! 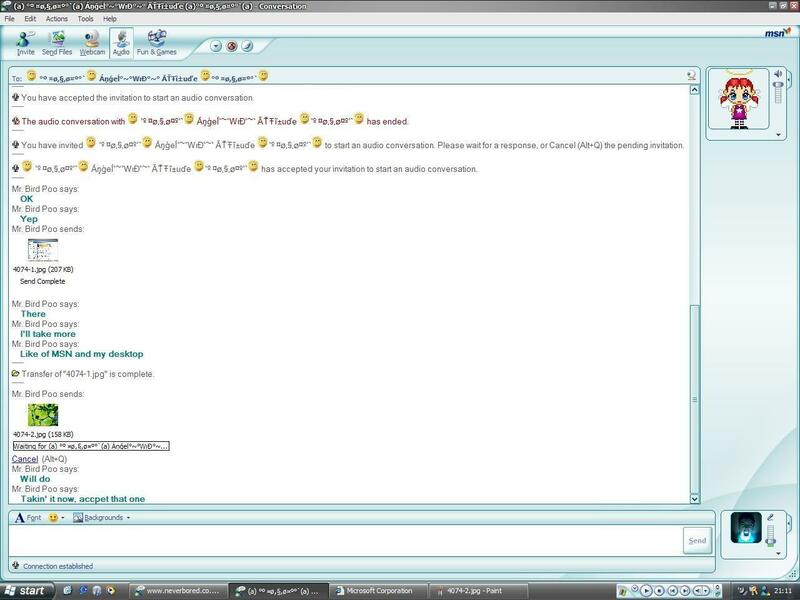 MSN messenger has never really worked properly in Longhorn, especially in Build 4074. Sorry to be rude here, just thought it would be obvious. There is one version of MSN Messenger that does work well on Longhorn 4074, but I'm not quite sure if you really want to use it. Try v5 of MSN Messenger, the one that is used for Windows 95, 98 ETC. Preinstalled already on another Windows Installation Partition, then you just go into the program folder and load it up. Slavic Wog to the Core! I remember seeing a video on Youtube demoing Windows Longhorn Build 4074 with DWM enabled and Windows Live Messenger was running OK, apart from the fact DWM broke it slightly. That is a screenie from when 4074 first came out. MSN Messenger worked fine on it back then. 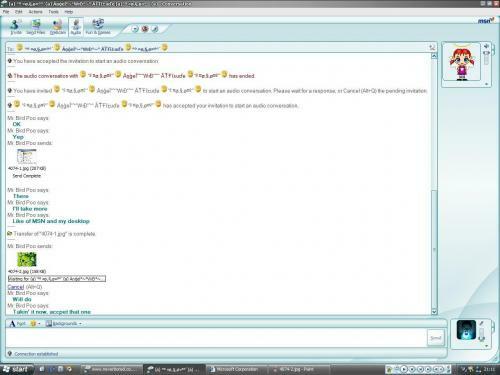 I can't remember which version of MSN that is but I thought by posting the screenie someone might recognise it. Whether you'll find a download and if it still connects to Microsofts servers will be a different issue. I used 8.1 on it (certainly a WLM 8 build) without any problems. Yes, I know that picture shows MSN messenger running on Build 4074 of Longhorn without DWM enabled, but wasn't Live Messenger partially incompatible with Longhorn Build 4074's DWM? 4074 comes with MSN Messenger build 6.1 pre-installed, which worked fine for me. I also ran 8.1 by using a standalone installer, and running it in compatibility mode for XP to clear up some error messages. Theres a standalone installer of 8.1 on the FTP if I remember correctly. Last edited by RichardG867 on Fri Nov 27, 2009 12:59 am, edited 1 time in total. Its true that most earlier builds of msn can't connect, and give you a mandatory update message, but I was using the build that comes pre-installed in 4074 as recently as a month or so ago, and didn't get any upgrade demands. Its important to bear in mind though, that mandatory update message is there for a reason, "supposedly" these builds of MSN have serious security problems. EDIT: Ok, I have way to much free time on my hands at the moment, so about half an hour ago I installed 4074, and I'm using WLM 8.5 on it right now. First, download a standalone installer for WLM 8.5, the one I posted here should do. Run the Installer, then go to C:\Program Files\Windows Live\Messenger and open up the properties for msnmsgr.exe. On the left hand side of this properties box, is a tab labeled "other properties" cick on it, and then compatability. change the compaability to run in compatability mode for Windows Xp, then apply and exit. Run msnmsgr.exe, or a start menu shortcut, it will take a sec to re-install/configure itself, then you should be able to use it. ALSO: If you don't feel like doing all that, or you don't like how much memory 8.5 seems to be using on 4074 (42MB for me ATM) the build 6.1 that should be installed (unless you uninstalled it, alot of 4074 tweaking guides seem to reccomend it, dunno why) and it should be able to connect, as long as you don't tick the "sign me in automatically" box when logging in.